Our Dental Ozone room for patients to sit while absorbing the ozone is quiet, comfortable, and very soothing. It is easy for patients to have a relaxing interlude to their day. Conventional methods have taught us to fight these pathogens with antibiotics, anti-fungal, and anti-parasitic medications. Although we have experienced years of success with these forms of treatments, we’re now discovering that these microorganisms are becoming more and more resistant to our therapies. Science is trying its best to stay one step ahead of these virulent bugs but we’re beginning to see our arsenal of weapons becoming less and less effective. What will the course of action be for health care in the next 20 years? Do we still try to “out-smart” these germs in the future or will there be other alternatives that offer promising results with little or no side effects? Welcome to the world of Dental Ozone Therapy. Ozone therapy has a long history of research and clinical application with humans. It was first discovered in 1840 by a German scientist, C.D. Schonbein. The first medical application was in 1870. As of 1929, more than 114 diseases were listed throughout Europe and the United States for treatment with oxygen/ozone therapy. Today, in the United States, oxygen/ozone therapy is fully recognized by the medical community in 14 states. Recognition is pending in three other states. The equipment to apply the ozone is compact and very simple to use. Ozone is very effective and safe with no side effects. In the last few years, I began investigating the efficacy of ozone therapy in dentistry. I studied the research and evaluated the science. 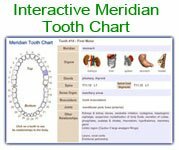 (Conduct your search at PubMed.gov for “Ozone Dentistry”. There are over 180 peer reviewed articles.) I was simply amazed at how effective ozonated oxygen could be in the oral cavity. If it kills pathogenic organisms with no toxic side effects and no toxic byproducts, there must be useful and successful applications for dentistry. Prevention and Protection. The following two uses of ozonated water are standard in our office as extra precautions for our patients. Ozonated water can be used as a pretreatment rinse for our patients to disinfect their oral cavity. Fill the unit water supply bottles and Ultrasonic units with ozonated water. This protects our patients and our staff from aerosol contaminants produced by high speed instruments and water spray from the air/water syringe. The unit water lines will also be free of all biofilms (a complex aggregation of microorganisms growing on a solid surface – “slime”) when the ozonated water is used in the reservoirs. On more than one occasion, I’ve heard patients comment that they felt ill or became quite sick after a simple dental visit, for example, after a dental cleaning or the placement of a filling. It never occurred to me that the water lines in our dental units may be contaminated with this biofilm and could be spreading these microorganisms to our patients. The use of ozonated water in our office today now insures disinfection and sterilization and leaves only oxygen and water as byproducts. It’s safe, it’s simple, and it’s effective. Patient Treatment. The following processes are standard in our office for extra patient care. 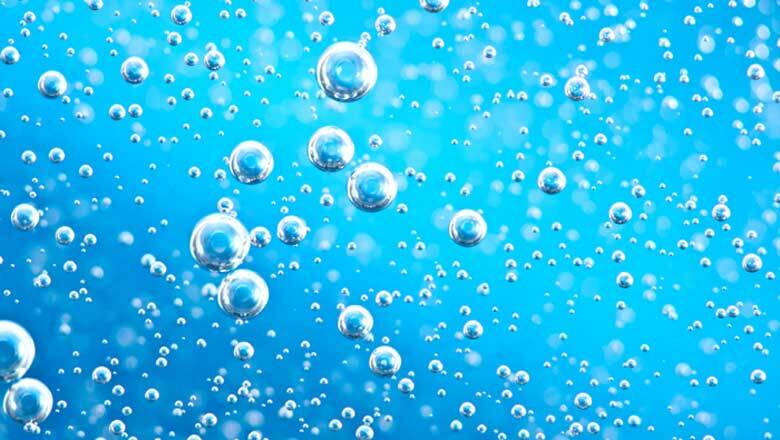 In our patient care, ozone is utilized in two forms: (1) ozonated water and (2) pure oxygen/ozone gas. Using these two agents in combination allows the dentist to treat all oral infections using only oxygen and water. Regardless of the location of the type of infection, ozone is able to treat almost any situation. The ozonated water is the perfect irrigation solution for periodontics, tooth extractions, dry sockets, and even for post operative treatments to help reduce pain and inflammation. For operative dentistry and periodontics, ozone gas is used to reach and penetrate areas such as, carious dentin, dentinal tubules, and periodontal pockets where no other antibiotic or disinfectant can reach. Ozone gas is also a powerful antimicrobial agent when exposed to the prepared tooth surface before dental fillings are placed or before cementing crowns and fixed bridgework. Post operative discomfort can be significantly reduced by following this protocol. For sensitive teeth in general and joint disorders, the ear and nasal insufflation therapies with ozone gas (gently letting the gas flow into the ears and/or nose) may also be used to provide a healing environment and thus reduce pain and discomfort from these areas. All these examples are possible because the infection/inflammation is positively charged (acidic) and ozone is negatively charged (basic). Therefore, the chemistry of the infection and/or inflammation attracts the ozone to the area and thus eliminates the pathogens from spreading. The use of ozone as a disinfectant device in our office allows us to enhance the safety and cleanliness of our dental environment for our patients and staff. In addition, dental ozone provides multiple applications as a therapeutic tool to help prevent and/or reduce infectious and inflammatory reactions that dentists routinely observe every day in the oral cavity. Our office motto is “keep it safe – keep it simple” and dental ozone certainly fits this mantra. Ozone is a chemical compound consisting of three atoms of oxygen. It’s a naturally occurring substance that is truly broad spectrum with no toxicity or side effects. Ozone is a powerful oxidizer that effectively kills bacteria, viruses, fungi, and parasites. How is it used in dentistry? In our office, we fill the unit water supply bottles and Ultrasonic units with ozonated water. This protects our patients and our staff from aerosol contaminants produced by high speed instruments and water spray from the air/water syringe. The unit water lines will also be free of all biofilms (a complex aggregation of microorganisms growing on a solid surface – “slime”) when the ozonated water is used in the reservoirs. The ozonated water is the perfect irrigation solution for periodontics, tooth extractions, dry sockets and even for post operative treatments to help reduce pain and inflammation. For operative dentistry and periodontics, ozone gas is used to reach and penetrate areas such as: carious dentin, dentinal tubules and periodontal pockets where no other antibiotic or disinfectant can reach. For sensitive teeth in general and joint disorders, the ear and nasal insufflations therapies with ozone gas may also be used to provide a healing environment and thus reduce pain and discomfort from these areas. Additional information is available in our office.